Once more implying that The Wire’s vision of Baltimore as a place where crimes happen wasn’t just a televised flight of fancy, a man was arrested over the weekend on a handgun charge, according to Baltimore Sun crime reporter Justin Fenton. And after confirming that this man was not simply a street performer availing himself for tourist photos, Fenton made yet another discovery indicating that the blurring between The Wire’s fiction and Baltimore’s reality is even greater than first imagined back when Felicia “Snoop” Pearson was busted on a drug charge. 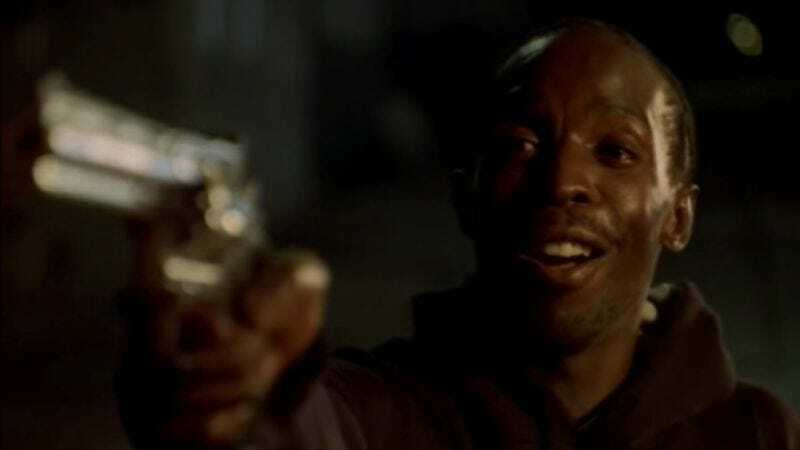 As Fenton noted on Twitter, the suspect’s name was Omar Little Jr., which fans will recognize is like the name of that guy on the show.